This book clarifies the issues of salvation, justification and saving faith by clearly setting forth the biblical and Reformation teachings of the gospel and salvation. By William Webster. What is the gospel? What does Scripture mean by salvation? What gospel has been consistently taught by the Reformers and those following in their steps? Such fundamental questions are addressed in this book. In a day when the essential message of the gospel is being assaulted by either legalism or antinomianism, Evangelical Protestantism, which claims the heritage of the Reformation, is in danger of repudiating its history by embracing a gospel that fundamentally denies the message of the Reformers. Debates on Roman Catholicism and lordship salvation underscore the rampant confusion within evangelicalism over the precise meaning of salvation, justification and saving faith. 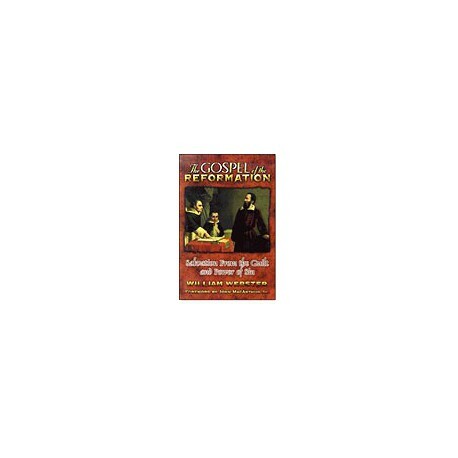 This book clarifies the issues by clearly setting forth the biblical and Reformation teachings of the gospel and salvation. "A timely and moving defense of the historic Christian gospel at a time in history when it is either being forgotten or sadly misinterpreted by Christians. This book recalls us to the Reformation faith, without which the Church inevitably flounders and dies." -- James Montgomery Boice, PCA Pastor, Tenth Presbyterian Church, Philadelphia, PA.